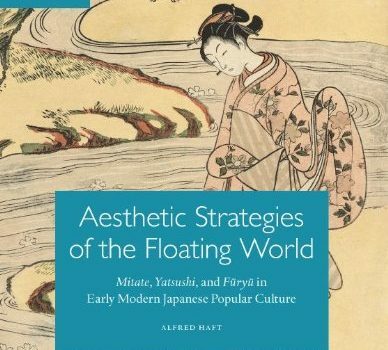 The Japan Foundation is delighted to present this special book launch of Aesthetic Strategies of the Floating World. 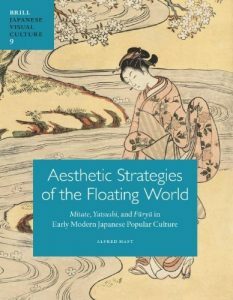 The evening will feature a talk from the book’s author, Alfred Haft, who will examine how the Floating World responded to the authority of Japan’s classical tradition, and made ukiyo-e (popular woodblock prints) an agent in the social and cultural politics of the their time. Timothy Clark from the British Museum and Christine Guth from the Royal College of Art will provide brief commentaries on the book before joining Haft for a panel discussion followed by questions from the audience. The formal proceedings will be followed by a drinks reception.This event is free but prior booking is essential. To reserve a place, please contact [email protected] with your name and contact details.